Just a little sample from the August Technique Junkie Newsletter issue. This is an example of the Markered Rainbow Resist Technique. 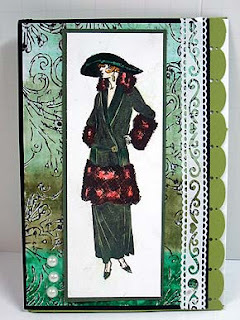 I used water based markers on this card -- from Stampin' Up!. The image is from Hampton Arts.